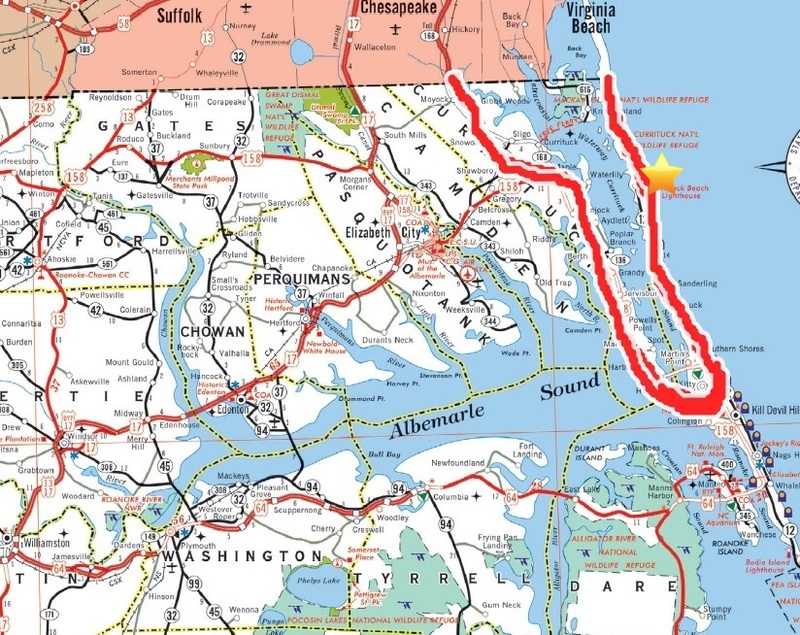 For those of you unfamiliar with the Outer Banks, I thought I’d share a map, showing our route to the beach. On this map, Virginia is shown in pink, and North Carolina in white. You can’t quite see where we live (we’re above Chesapeake). The “u-turn” is the Kill Devil Hills area of the Outer Banks. If you take the u-turn, you travel north through the little villages of Southern Shores, Duck and Corolla. Driving south, past miles and miles of beaches, will take you to Cape Hatteras. When we drive out on the beach to see the horses, we take the u-turn. It’s about 115 miles from our house to Corolla (I’ve marked it with a gold star on the map). That’s where 4-wheel drive is required to drive out on the beach. And you can drive on the beach all the way back up to the Virginia/North Carolina line, which is probably about another 20 miles. There’s no access from the uppermost beaches to the mainland. So, now that all that’s over, here are some pictures from last Saturday. This was taken near Corolla after we’d been up on the beach. The body of water is the Currituck Sound. 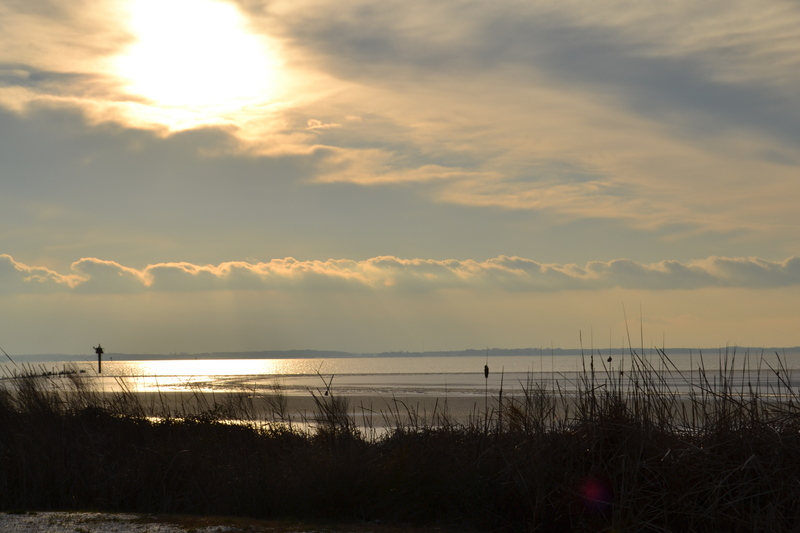 This picture was taken a little further south, near the village of Duck, still overlooking the Sound. 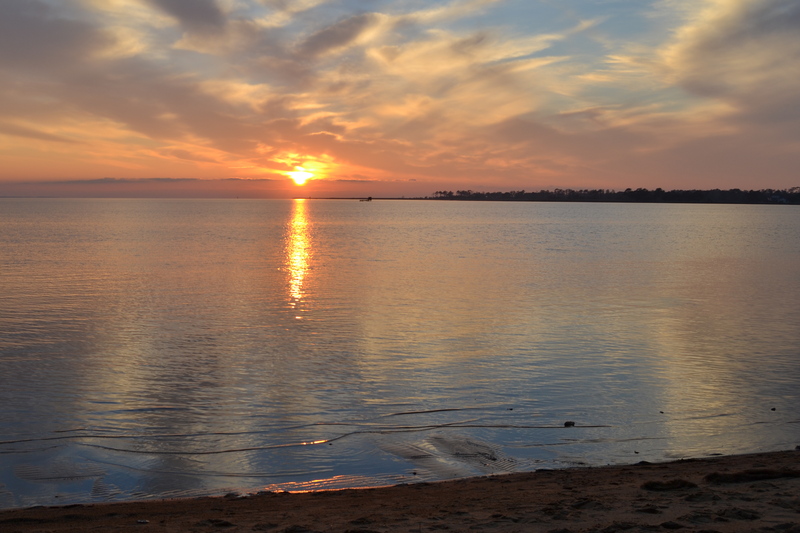 We continued driving south to a little park in Kitty Hawk, where we watched the sun set over the Albemarle Sound. Kitty Hawk is just a little south of the “u-turn” on the above map. And then it was time to head north to Virginia. This entry was posted in OBX Wild Horses, Traveling Days and tagged albemarle sound, cape hatteras nc, currituck sound, duck nc. corolla nc, outer banks of north carolina, southern shores nc. Bookmark the permalink. Thanks for the map!! I really liked figuring that out and seeing your route. And you know I love it when you take pictures of the sky and the water. These are just beautiful! Gorgeous as always! Must be hard to leave that beach behind – but then you have your OWN “water-view” sunrises and sunsets at home to see every day. Beautiful pictures of a spectacular sunset. Great assortment of colors! … the third one here is my fave..
Beautiful pictures. You mentioned recently about coming to Waverly and we might could meet. I tried to email you with no success but I would love to meet you somewhere. my email is below. Your photos of the Outer Banks always make me want to go back there. It’s been a few years since we’ve been there – we stayed in Cape Hatteras, but visited Duck, Corolla, Kitty Hawk. Someday, we’ll make it back. I am soooooooooo late today! We left this morning for St. Louis and just got home! Beautiful Beautiful.. 🙂 We have OBX to look forward to, how fun! You sunset photos are so lovely Dianna. 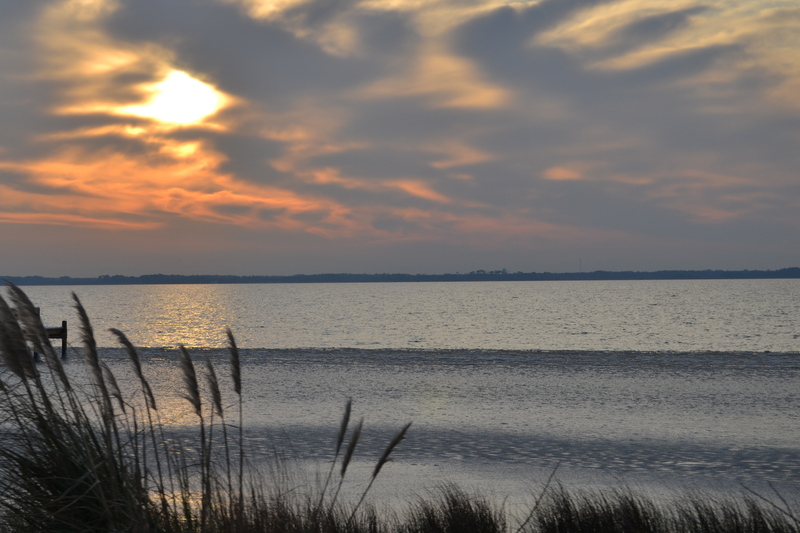 The Outer Banks areas you mention each have their own personalities and grandeur. I was privileged to go there with one of my dearest friends and two other ladies and it was an unforgettable trip. 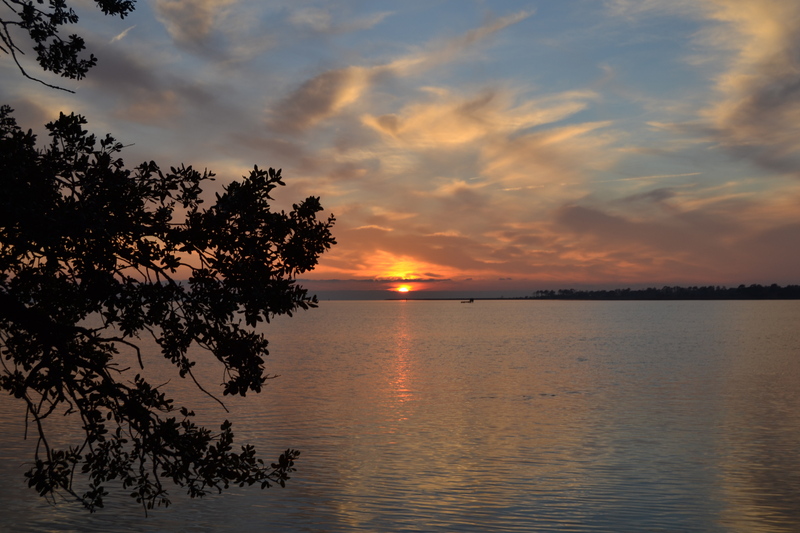 Beautiful pictures–The Outer Banks look like a really special place. Beautiful! I’m envious! I’m from N.C. orginally, and now I live wayyyyy too far from the beach! They are all wonderful. Filled with such color. This was great – we’ve been wanting to go to OBX since moving to Richmond but have not made it there. Did you do it in one day? Do you have someplace you’d recommend staying?